There aren’t too many snacks that beat popcorn when it comes to fun associations: Friday, family night, movie theater, date night, parties, carnivals, theme parks, weekends, holidays, friends, community, vacation, laughter, FUN! When we think popcorn, we think of events, people, and moments that simply make us smile. Not too many snacks can lay claim to our good feelings like that! 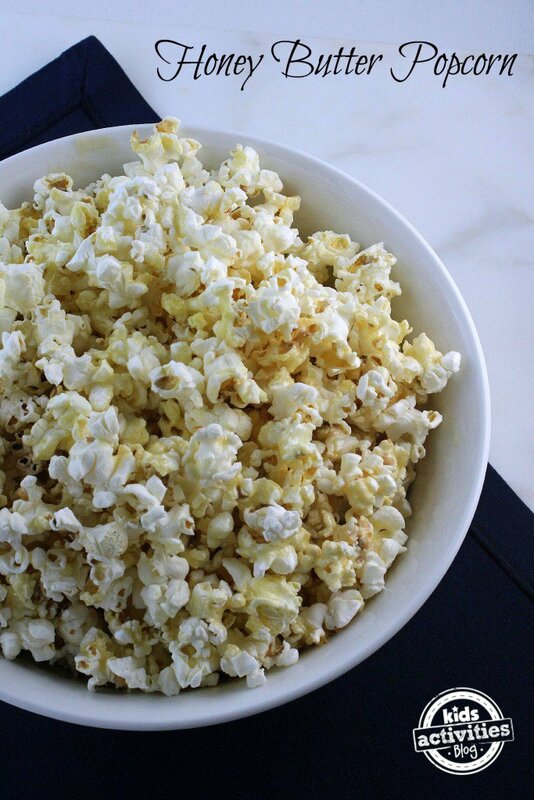 It’s true, popcorn is a feel-good snack that comes along for so much of the fun in life! But if you’re only eating the standard butter and salted popcorn, then it’s like you’ve been living in a closet when the whole house was there all along! Flavored popcorn will take your popcorn experiences to a whole new level. So, step out of your closet, stretch your legs (and taste buds), explore all of the rooms (aka flavors!) 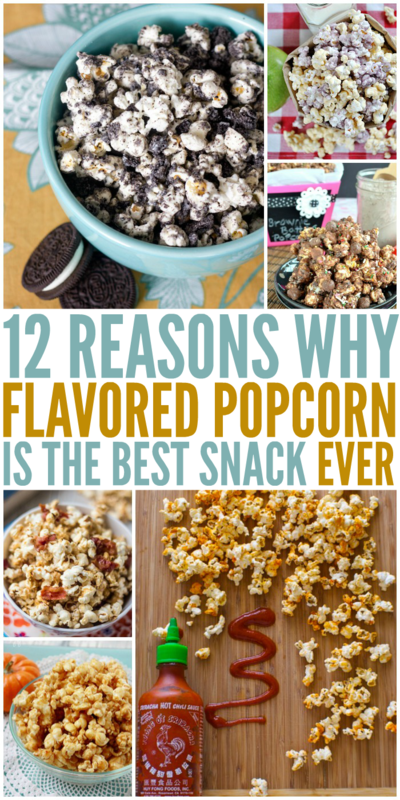 and find out why flavored popcorn is most definitely the best snack ever. You know how all of those foodie restaurants charge a whole lot more for those truffle fries, but you absolutely cannot resist them so you pay it anyway? 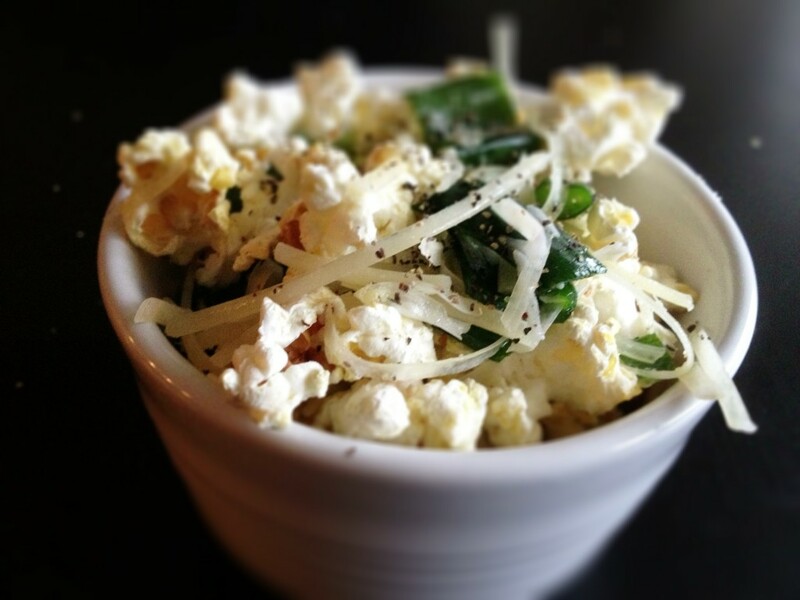 You don’t need a restaurant to enjoy the delicious, savory and sophisticated flavors of Truffle and Parmesan Popcorn! If you like it as an ice cream flavor, you’ll probably love it as a popcorn flavor. 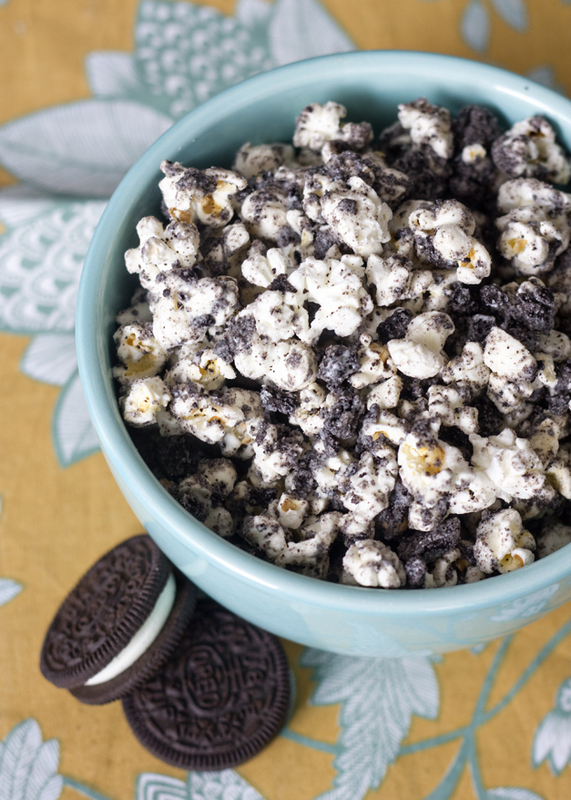 Ladies and gents: Cookies and Cream Popcorn. Two scoops in a cone, please! You can keep it simple with some Honey Butter Popcorn. 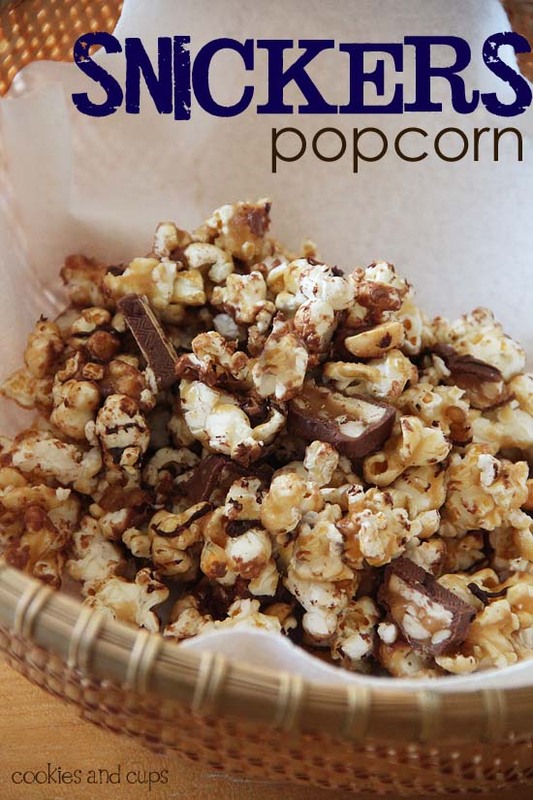 It’s a sweet twist on the classic popcorn you already love, plus it’s easy enough that the kids can help! 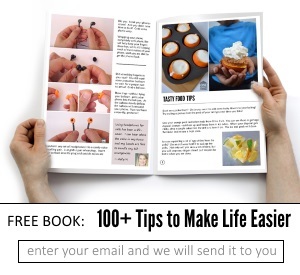 It’s such a versatile food, even fruit can get in the mix and it’s still to die for! 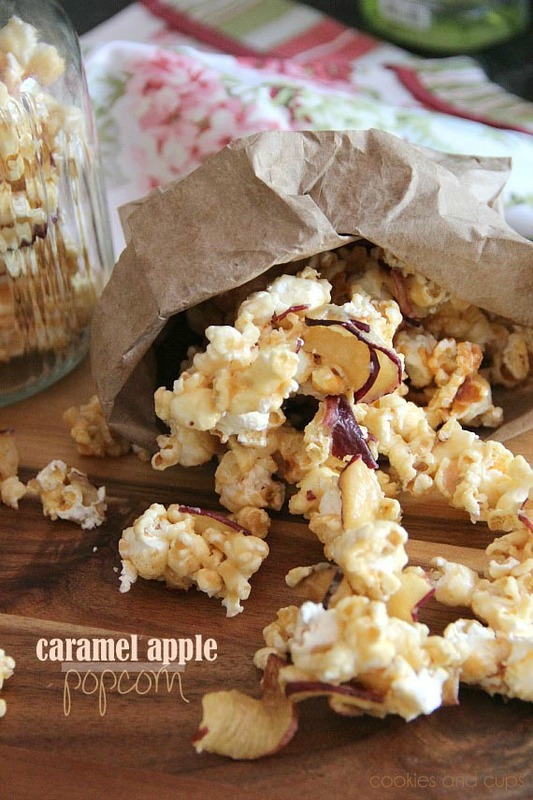 Try this Caramel Apple Popcorn–no cutting or peeling of apples required! Forgot to make dinner plans? 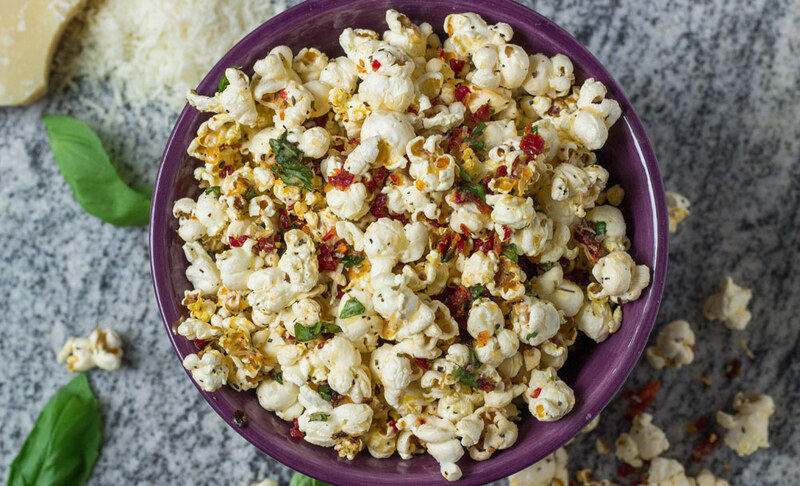 This Margherita Pizza Popcorn has you covered. And while we’re skipping meals, who has time for breakfast anyway? 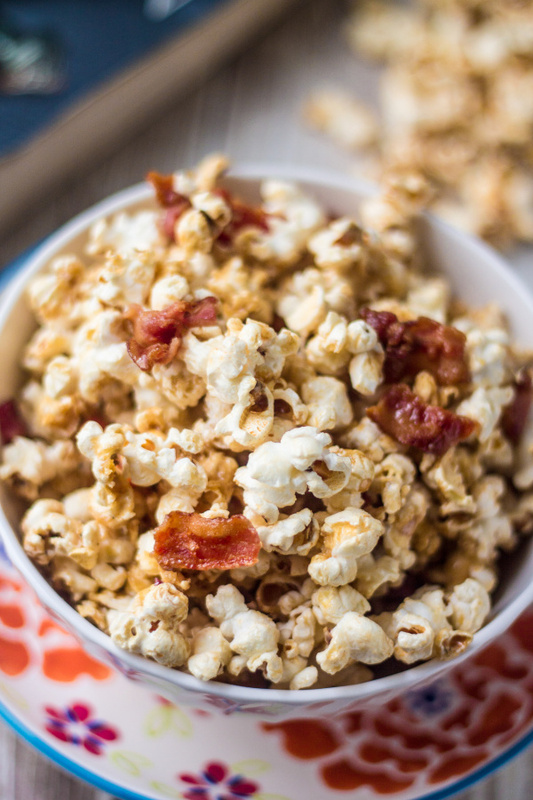 Maple Bacon Popcorn to the rescue! 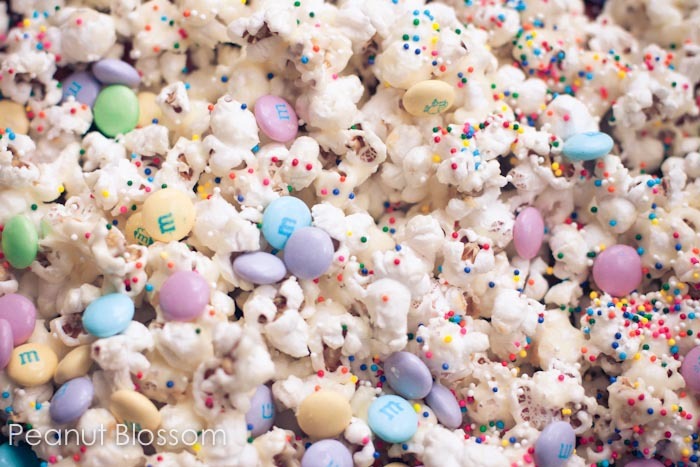 Flavored popcorn can set the mood for a season! 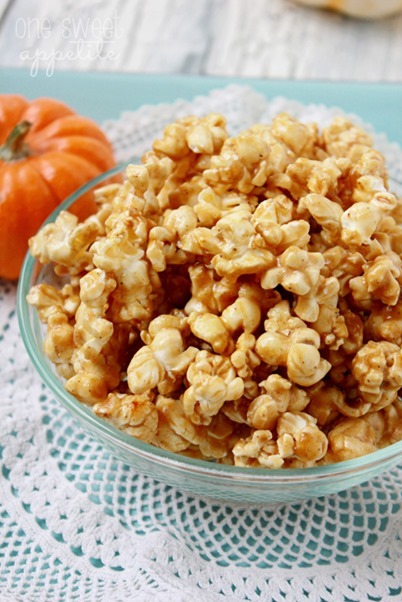 Pumpkin Spice Caramel Popcorn, you bring the flavors of fall right into my popcorn bowl. Basically, any condiment that you love will also be loved as a popcorn flavoring. 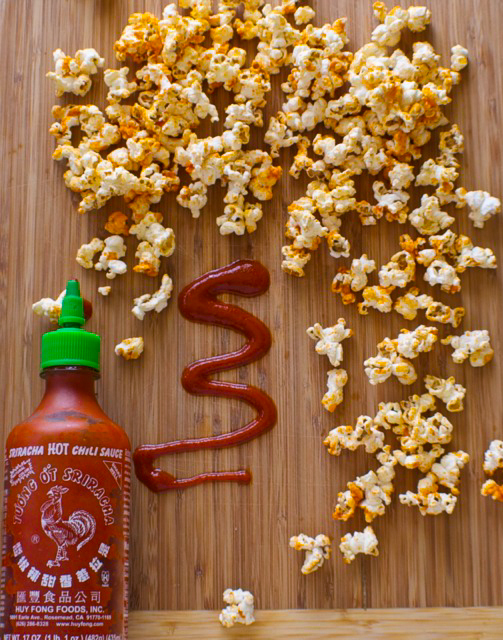 For the Sriracha-obsessed, Sriracha Popcorn is definitely for you. Five words, friends, I can’t say them without shouting so please shout them in your mind: BROWNIE BATTER COOKIE DOUGH POPCORN. Oh yes, I went there. You’re going there too, I know it. 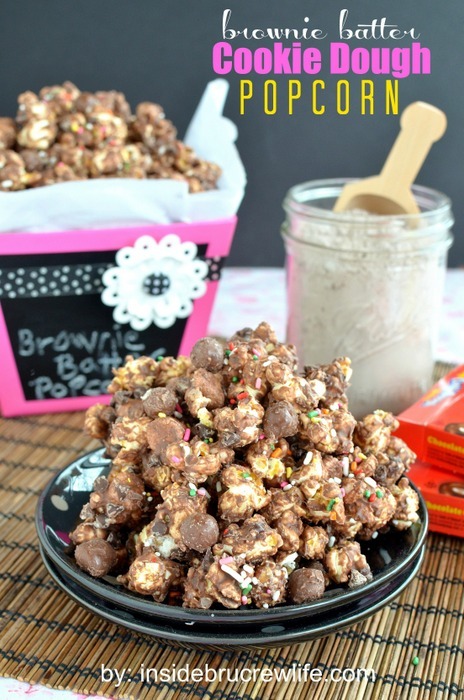 Skip the birthday cake baking fiasco this year and just make Birthday Cake Popcorn! It’s sure to be a crowd-pleaser for the kiddos! Does anyone love the flavor marriage of peanut butter and jelly as much as I do? 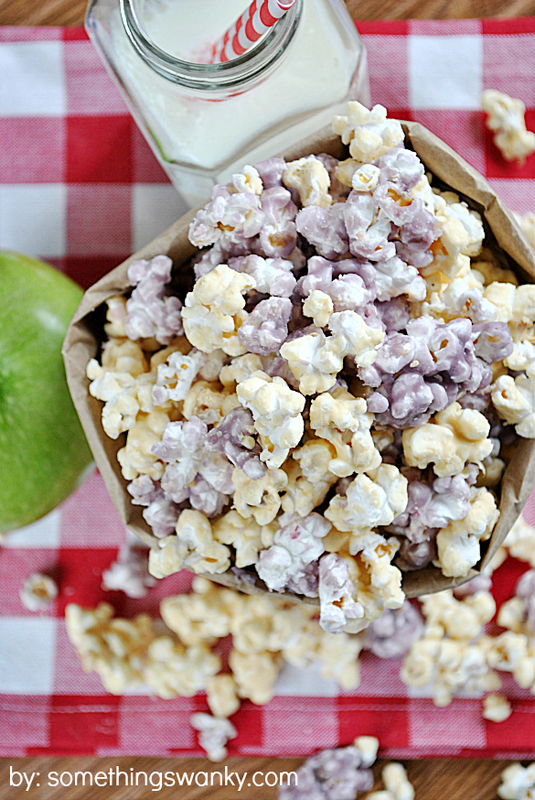 Why not bring that delicious, long-standing commitment to your popcorn bowl with PB&J Popcorn? Annnnnd if you have a candy bar that strikes your fancy, why, that can be made into a flavored popcorn, too! Snickers Bar Popcorn, can they sell you in the checkout lane please? So venture out! Try some new flavors. And while you’re at it, spread the love! Flavored popcorn makes an excellent party favor, Christmas gift, after-school snack, sleepover activity, or potluck dish!